Hey guys, we're back! Thanks for listening to A.M. in the P.M. with Alex and Matt – the podcast where we discuss what we’ve been watching, oh so loosely, as well as other entertainment related items! This episode was recorded over a week ago but some things happened and we got a little sidetracked before we were able to post it. Have no fear, it's here now (better late than never)! In today’s episode, we discuss the Spider-Man: Far From Home teaser trailer, theorize what may happen ... Más informaciones in Avengers: End Game, and we conclude with a conversation about movie theater etiquette. 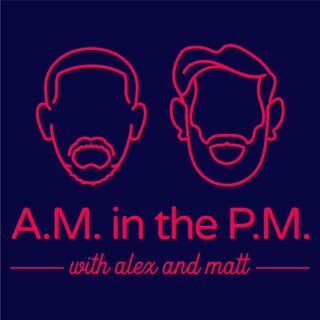 We hope you enjoy, the A.M. in the P.M. podcast!